Psychologists say that moving is one of the top twenty most stressful things that a person every has to go through in their life. Picking up all of one’s belongings and moving them to a brand new, unknown location can be super stressful. Combine that move with a new job for the adults, a new school for the kids and a whole new neighborhood for everyone to learn, and you can see why household moves in Rhode Island can be overwhelming for everyone involved. There are a couple of ways to reduce stress with your next move. One way is to hire professional Rhode Island movers to come in, pack all of your things – or just the things you don’t have time to pack, and then have them move everything to your new destination. Another way to do it is to move some of your things to commercial storage in Seekonk, MA at Conlon Moving & Storage so all you need to do is move the essentials on moving day. Then you can get your things out of storage later when you need them. The third and final way that we are going to discuss in this article is to take advantage of a very popular trend that has swept the country. Mobile storage in MA, RI and CT is a very convenient way to move at your own pace. All you do is contact the moving company and have them drop off the container storage at your home. You can park it on the street, in your driveway or wherever there is a flat space to keep the mobile storage level. Then you can load it at your leisure, packing up one room at a time, and then have the moving company pick it up and drop it at your new location where you can unload it again just as leisurely. There are pros and cons to every method for household moves in Rhode Island. You need to think about the positive and negative aspects associated with each type, contact your trusted moving company to get a quote on each type and then weigh each solution to see which one works best for you, your schedule, the distance you are moving and, of course, your budget. Moving containers can make your next move a lot easier and less stressful, but you need to make sure it is the best solution for your situation. 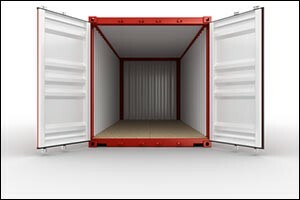 There are many advantages associated with using mobile or commercial storage in Seekonk, MA and the surrounding area. One of the most positive is that you are able to set your own schedule. You can start packing and loading when you have time and bit by bit, get everything taken care of and loaded up for the Rhode Island movers to take care of when the time comes. It is a sort of hybrid self-move that allows you to have total control over your belongings, what gets packed and what gets tossed, stored in semi-permanent storage or left behind. Moving is a great time to go through your things to see what you need and what you don’t. Another advantage to using mobile storage in MA, RI and CT is that you don’t have to worry about renting a big truck or paying movers to come to your home to pack your things and move them to your new destination. The cost for using portable storage can be a lot more affordable, making it a great solution for families on a budget. The worry of driving a big truck or coordinating your move with a moving company for household moves in Rhode Island is no longer your problem. You can simple load and go according to your schedule. The containers used for mobile and commercial storage in Seekonk, MA at the Conlon Moving & Storage facility are made from sturdy steel. They are water and weatherproof, providing you and your belongings with protection from the elements. Our super durable and secure mobile storage in MA is used by residential, commercial, construction and corporate clients alike with great results across the board. Ask about our mobile storage solutions when you call Conlon Moving & Storage for a quote. If you are interested in learning more about our services for household moves in Rhode Island, Connecticut and Massachusetts, give us a call at 508-336-7766. Our team of highly trained and experienced Rhode Island movers can help you with mobile storage solutions, residential moving and commercial storage in Seekonk, MA. Call today for a FREE accurate estimate for your next moving experience.